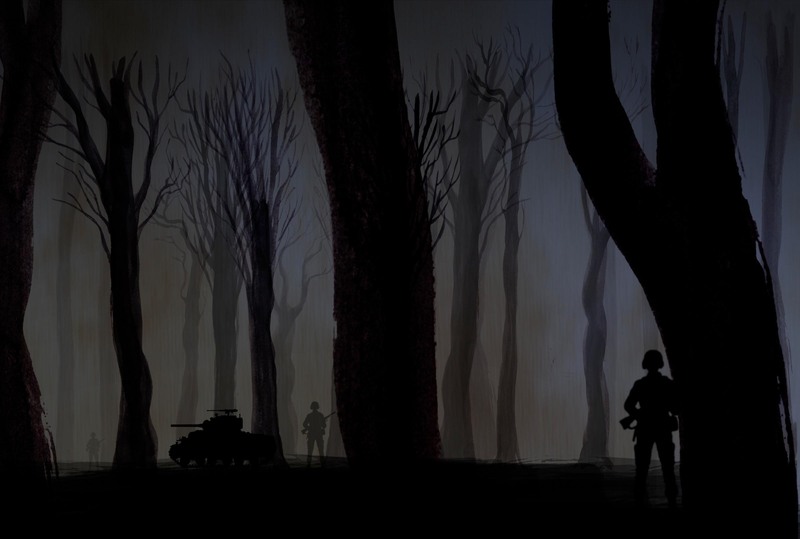 Special screening of THE GHOST ARMY in Pelham, New York on April 14. In honor of Ghost Army veteran Richard Syracuse, a special one-night-only screening of the film will take place at The Picture House in Pelham, New York, Sunday April 14 at 5 PM. Syracuse, now 90 and living in New Rochelle, plans to attend the screening, as does Ghost Army veteran Arthur Shilstone from Redding, Connecticut. Filmmaker Rick Beyer will be there as well to answer questions from the audience. It is a chance to see the film on the big screen before it is broadcast nationwide on PBS in May. The screening is sponsored by Andrea Syracuse-Silverstein of Pelham and Rina Syracuse of New Rochelle to honor their father’s wartime service. Tickets ($25/$20 for students and veterans) are available at ghostarmypelham.brownpapertickets.org or by or by phone: 1-800-838-3006. Proceeds go to benefit the PBS broadcast of the film. "I used to refer to us as the Cecil B. DeMille Warriors." ARMY Magazine reviews "Artists of Deception"
The Ghost Army Headed to PBS!